Designed to provide both aesthetics and durability, the new ClearBow is an adjustable labial bow offering 2.75 mm of full labial contact. ClearBow features a patented design and is fabricated from food-grade materials made in the United States and manufactured in Canada. The BPA-free plastic strap is guaranteed not to break under normal use, and is not damaged by boiling water or stained by coffee, cola or red wine. Have you used other aesthetic labial bows? We understand that you may be reluctant to trying the ClearBow. Other aesthetic labial bows are not 3 prong adjustable and may have caused you disappointment because of their breakage issues, lack of tooth contact or cost. The ClearBow has been extensively tested to ensure its durability and effectiveness. Over the last 4 years our sister company manufactured more than 5000 orthodontic appliances with the ClearBow and no breakages have been reported. 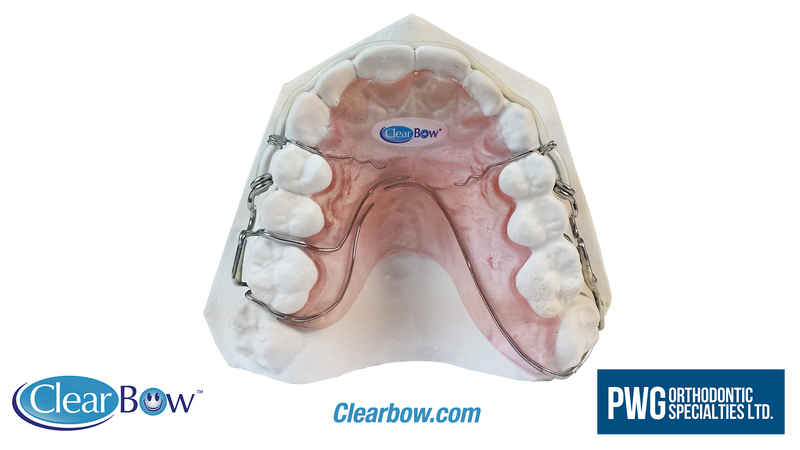 The ClearBow is aesthetically pleasing, encouraging patients to wear their retainer and show everyone their beautiful teeth without feeling self-conscious about outward appearances. The Coiltight-Joints™ can withstand a combined static weight of 55 lbs and the plastic strap is virtually indestructible. That’s why we can guaranty the plastic strap of the ClearBow assembly not to break or detach from the Coiltight-Joints™ when the orthodontic retainer is used according to the doctor’s instructions. PWG Orthodontic Specialties LTD. values the health and safety of patients undergoing their retentive phase of orthodontic treatment, which is why the ClearBow is manufactured using high quality food grade materials without any BPA (Bysphenol A), a chemical that is banned in Canada and deemed potentially harmful to health. 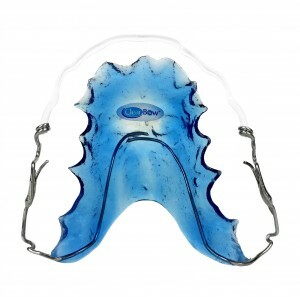 The ClearBow (Not the orthodontic appliance) is resistant to temperatures of up to 250° Fahrenheit. Patients can enjoy their favorite hot beverage without the need to first remove their ClearBow retainer. When metallic compounds interact with dental plaque over a long period of time, they can stain a small portion of the enamel. Because the thermoplastic strap of the ClearBow assembly does not contain any metallic compounds and is softer than stainless steel, it does not stain or scratch tooth enamel, restorations or veneered teeth. Beverages like coffee, cola, red wine, cranberry juice will not stain the ClearBow. Click the button below to view cleaning instructions. 1. Select correct size ClearBow. 3. Solder the ClearBow onto clasps or wrap around wires. The ClearBow is unaffected by boiling water, resin monomers, high density alcohol and acids used in commercial orthodontic labs. 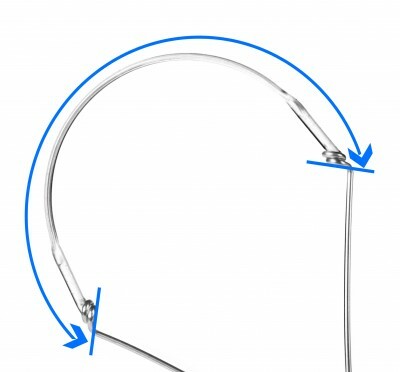 I have been using the ClearBow labial bow for all my final retainers since it was introduced to me in 2007, and I never had to send one for repair. Contrary to the metal labial bows I used previously, there are no solder joints that could break or stain the teeth. 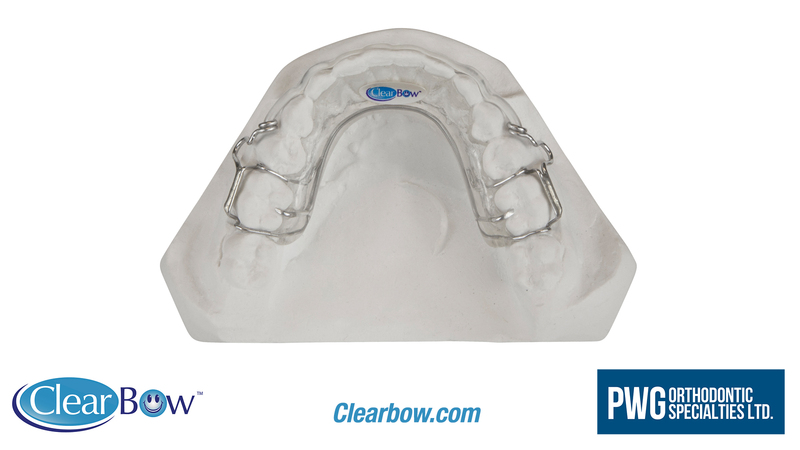 The ClearBow Hawley retainer provides more labial contact which increases tooth stability and retention of the retainer. The ClearBow labial bow is easy to adjust with a 3 prong plier and I can make small bends to it if needed. The patients love the ClearBow Hawley retainer for it’s esthetic “WOW factor” and compliance is 100%. I was one of the 1st orthodontists to use the ClearBow labial bow and was practically branding my practice with it…unfortunately for me, the word has spread and I won’t have the exclusivity on this wonderful product anymore! 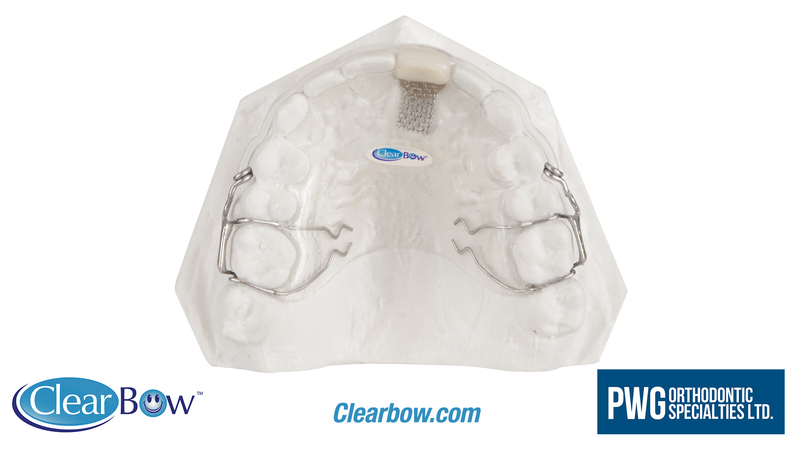 I thank the developers of the ClearBow labial bow for helping me keep a smile on my patients everyday. I have been using the ClearBow Hawley retainer since 2012. Having completed my Masters thesis in the Efficacy of Retention Types Post-Orthodontic Treatment at the University of Connecticut, I have extensive experience in this particular field. The literature has shown that one of the benefits of the standard Hawley retainer is that it allows settling of the teeth. However, patients don’t like wearing a retainer full-time if it has a wire that is visible. Compliance is better with clear vacuum formed retainers, for that reason. Unfortunately, not only do the clear vacuum formed retainers prevent settling of the teeth, but the lifespan is also shorter because the material tends to crack with wear. 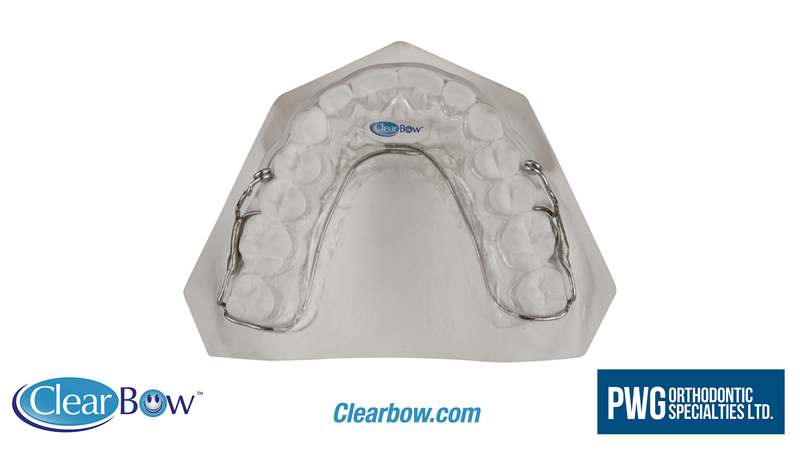 The ClearBow Hawley retainer combines the benefit of settling of occlusion with better patient compliance and durability. I’m extremely pleased to recommend this appliance as an alternative to other retainer types. I’ve been using the ClearBow Hawley retainer for over 3 years and I haven’t had any breakage problems. 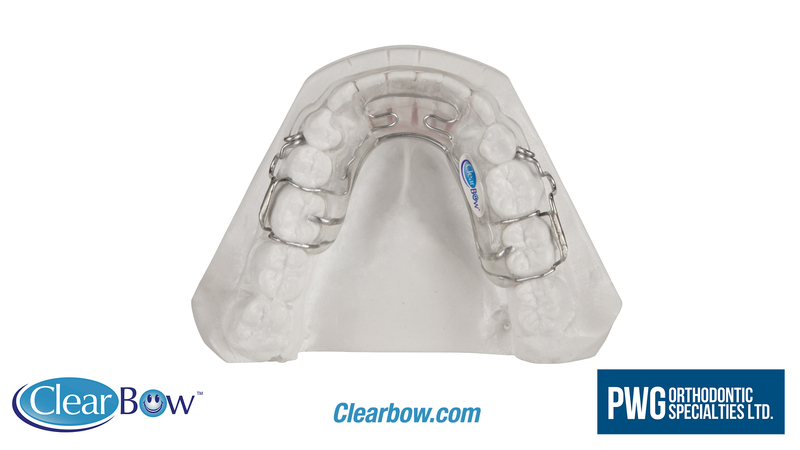 The ClearBow’s wider profile greatly improves tooth stability and retention of the appliance. 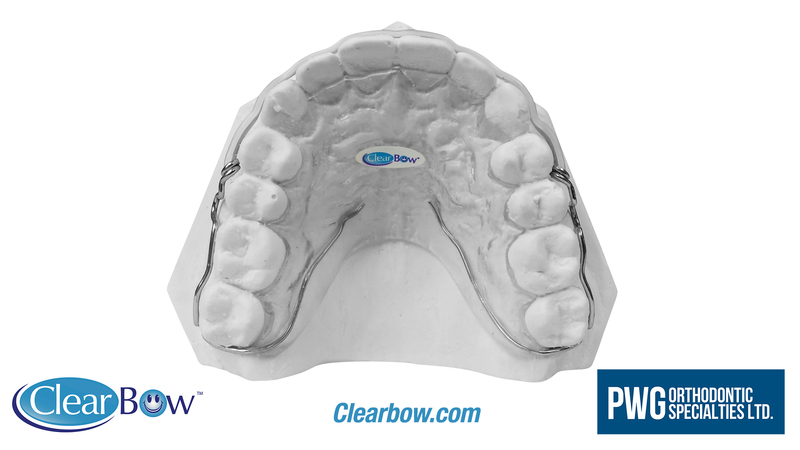 The ClearBow’s aesthetics and tooth comfort make it very easy to achieve patient compliance, yielding superior long-term results that patients can smile about. I have known Paul Griffiths over 30 years. He has been my exclusive laboratory technician as his work, his honesty and his dependability is beyond reproach. 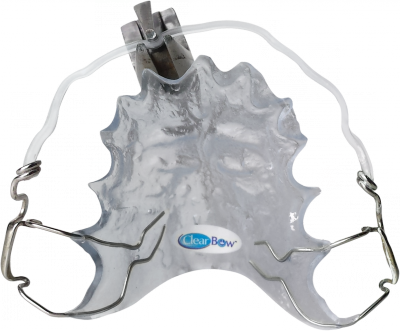 He has now carefully developed the ClearBow labial bow to replace the metal labial bow. 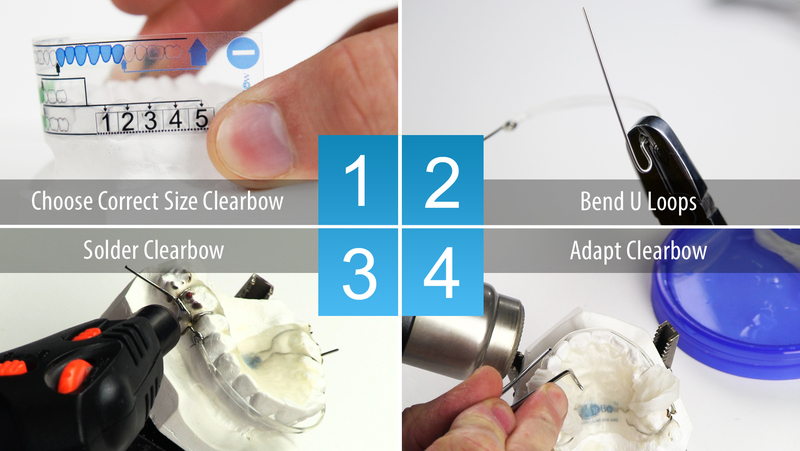 The ClearBow labial bow can be manipulated as needed and works as well as a metal bow. My patients love this product. Dr Marvin Steinberg, B.Sc., D.D.S., M.Sc.D., F.R.C.D. (C), F.A.C.D., F.I.C.D., F.A.D.I. My patients just love having a retainer with a ClearBow labial bow. 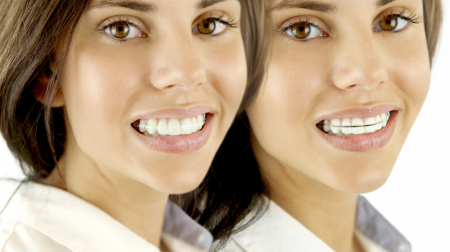 Patients are very comfortable wearing their retainer while at school or work because it is nearly invisible. The ClearBow Hawley retainer is an excellent appliance. I really like the tooth contact against the flat surface. It is far superior than using a round wire and there is no metal discoloration when used with anterior porcelain restorations. All of my patients absolutely adore their ClearBow Halwley retainer. They find them very aesthetic and comfortable. They claim that no one can really tell that they have an appliance in their mouth. This means that they will actually wear their retainers! I have been offering this appliance to most of my patients for quite a while now. I am extremely pleased with the fit and adaptation of the ClearBow Hawley retainer. I would highly recommend offering this choice of retention appliance to your patients. All the ClearBow Hawley retainers I have used have fit perfectly. Our patients are thrilled. I have had absolutely no problems. • The orthodontic appliance is used under normal conditions specified by the doctor. • The ClearBow is adapted according to instructions from PWG Orthodontic Specialties Ltd.
• The ClearBow is not deliberately mishandled. What is the ClearBow made from? The materials used in the manufacture of the ClearBow are: food grade polyethylene terephthalate (PET) and stainless steel grade 316. Both materials are manufactured only in the USA. How much do ClearBows cost and where can I purchase them?? Can the ClearBow be adjusted for minor labial-lingual tooth movement? Yes, the ClearBow can be adjusted with pliers in the same way you would adjust a conventional steel wire. Where is the ClearBow made? The ClearBow is made in Canada. Does the ClearBow contain BPA? 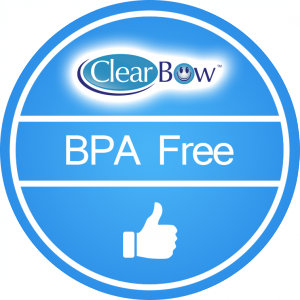 The ClearBow does not contain any BPA. How many ClearBow sizes are available? There are 8 different sizes ClearBows available for extraction and non extraction cases. 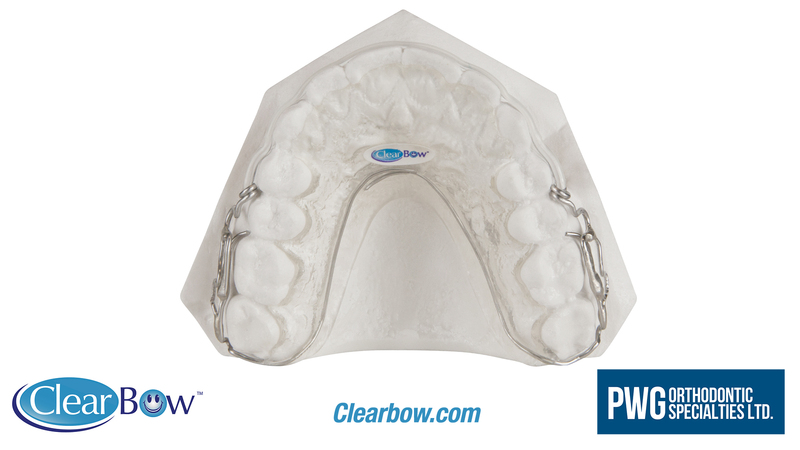 Which oral appliance cleaners do you recommend for cleaning orthodontic appliances made with the ClearBow? Below are a few oral appliance cleaners that we’ve tested over a 5 month period on orthodontic appliances made with the ClearBow. These products did not affect the ClearBow or solder joints. Please note, It is recommended to use a cotton swab when cleaning the ClearBow. Can we use images on your website for promoting the ClearBow on our website and social media channels? All images, PDFs and other files for promoting the ClearBow can be found in the Marketing Materials page. These files can be used on the internet and in print. If you have any special requests, please contact us and we’ll be happy to help you out.